Pictured below a fantastic walnut wood floor from a recent freshome.com post. 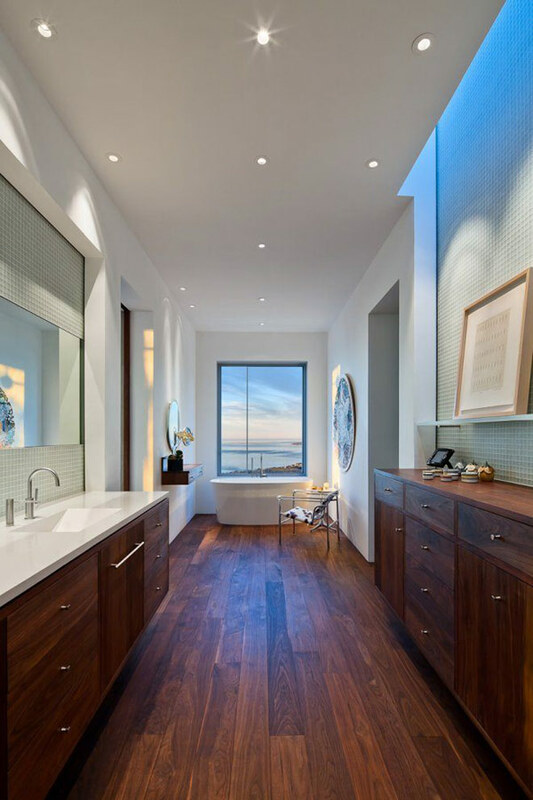 Wide width and long planks work great in this elongated bathroom. Matching cabinets to wood floors can be risky but I think it works here. Although modern interiors tend to utilize woods with very subtle graining, walnut wood floors have been a normal exception. There is no other domestic species that exhibits such a naturally rich tone and when graded in such a way as to have a consistent color tone it works in these settings well. Walnut floors with more character marks allowed in the grade might be termed millrun walnut, character walnut or #1 common walnut. They tend to allow for more color variation which includes more of the creamy sap wood as well as more natural character marks such as knots, mineral streaks, pinholes etc. Hallmark Hardwoods Hacienda Walnut Natural as seen below is a good example of a walnut grade with a little more variation. 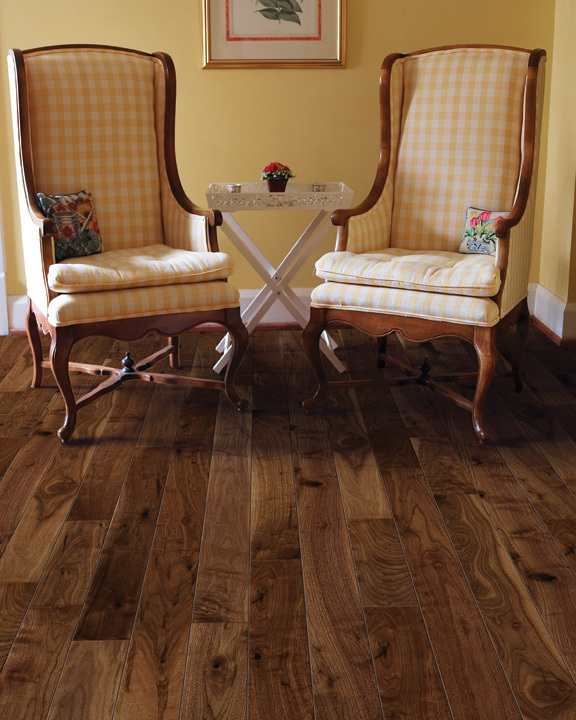 These floors tend to be utilized more frequently in contemporary, rustic, farmhouse and casual interior motifs.